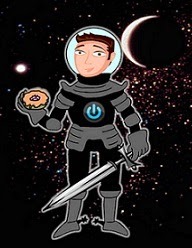 David Powers King: WOVEN Giveaway Winners, Updated Schedule, A Long Overdue Thank You, and This Is What's Next For Us! WOVEN Giveaway Winners, Updated Schedule, A Long Overdue Thank You, and This Is What's Next For Us! Now that the WOVEN tour is over (does it have to be over? ), things will be getting back to normal on this star ship. I'm returning to my weekly posts on Wednesdays, or more if something special pops up. I've had a lot of catching up to do and a plethora of things to take care of that's not related to writing (what else is new?). Still do, but let's cut the chatter and announce our awesome giveaway winners! Congratulations! Your package is already in the mail, so your signed copy, thimble, and swag should arrive sometime next week. Thank you for participating in the WOVEN blog tour & giveaway! My schedule has really filled up! I've got something going on every month through September. For those of you who couldn't make it to the launch or the Orem signing, we're signing at the Jordan Landing Barnes & Noble, Friday 27th. See my updated schedule here. I want to step beck for a second to thank you, for the millionth time, for how wonderful you have been these last few weeks--for sharing WOVEN across the blogosphere and beyond. The reach was so great that I was not able to keep up with everyone. So if for some reason I never visited your blog during the tour, I am truly saddened. There is only so much a full-time employee and a father of three can do. From the very foundations of my being, you have my thanks. Michael Jensen is highly appreciative of your time and enthusiasm as well. Thanks for making this the best debut two authors could ask for. So what's next for us? I'm in the middle of two big deadlines for two different submissions. 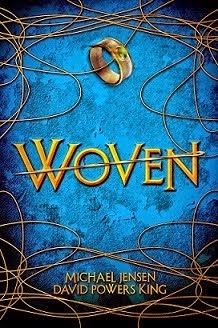 We've been asked a lot if there is a sequel to WOVEN. Yes, we are working on one, and we're turning the first 100 pages in to our agent at the end of the month. 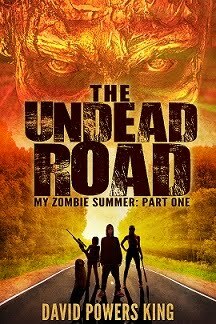 Simultaneously, my agent and I are prepping my zombie novel THE UNDEAD ROAD for submission at the end of the month as well. It's already done, just need to do what needs to get done to send it to the right places. Do you think I said "to" too much in that last sentence? I better get back to work. You're wonderful. You're beautiful, and for those of you wanting a recap of LTUE, I'll post that next week. How's life been for you these last few weeks? Any news I missed? What are you reading? Have you picked up a copy of WOVEN? Double the novel fun! Glad the tour was a success and no it doesn't have to be over. Congratulations to winners. Now, back to writing. You sound busy :) Remember to breathe once in a while! Really enjoyed WOVEN, btw! Awesome adventure! My husband asked if the sewing references stuck, but sadly no, I am impervious to learning anything about sewing. He will have to continue to man the sewing machine at our house! Congrats, again! And good luck with all the upcoming projects. Your blog tour was strong. I hope it helped with sales. :) Good luck with your deadlines! Hi, David, glad your tour went so well. You are an inspiration! Congrats to the winners. And I'm so glad everything is going well for you and Michael. I am glad you guys have other things in the works. Nice to remain busy and writing. That's awesome you're so busy with writer things and deadlines. Because that's part of being a published author. So excited for you and that you landed at Scholastic with Woven. That was an extensive tour and Woven really took off. Huge congrats to you, Michael, and the winners! Sounds like things are so exciting for you! Good luck on all the deadlines. Oh yes Grodd is indeed coming with loads of CW Flash goodness. So glad things are going well David and I'm ready for some zombies. So glad you're so busy! Congrats to the winners. Keep rocking it David!! You are busy dude! Congrats on all your continued success. My hardback, signed copy of Woven just came! YES!!!! Love it. Thanks so much. I'll be showing it off today. 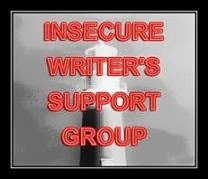 You've got a lot going on and I bet that's just how you like it (at least when it comes to writing). :) Love the Projects in Progress bar!